Hidden in the depths of a seemingly dead forest, a ruined temple grants access to four elemental forests, Earth, Water, Fire and Air. - Collectibles, adding bonuses to speed and new player abilities. Some will be easy to take during a speed run, whereas others may require you to revisit, or rethink your strategy. 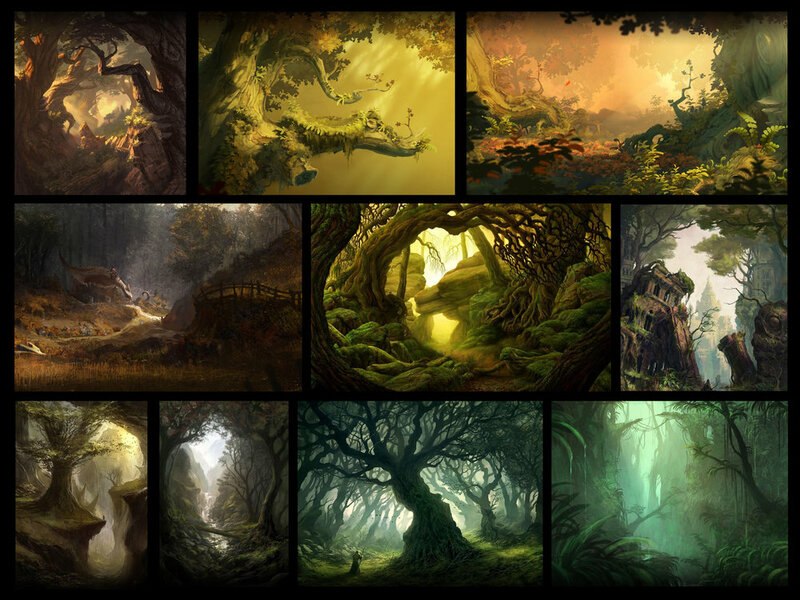 The theme and design of each individual forest will present unique challenges and rewards, especially after the introduction of the corresponding element. - Unlocks, new areas, gameplay and challenges. - Spirit Tomes, upon completion of each forest, the player is rewarded with a matching elemental spirit tome. Returning these tomes to the hub world temple allows that element to return to the world, and for all associated colours to propagate the world’s flora. * You will be tested on the order in which they are replaced. - Elemental Aura, Completion of a forest grants the player access to the corresponding elemental Aura boon. This Aura will remain tethered to you, performing unique actions to carve or create new paths untraveled. 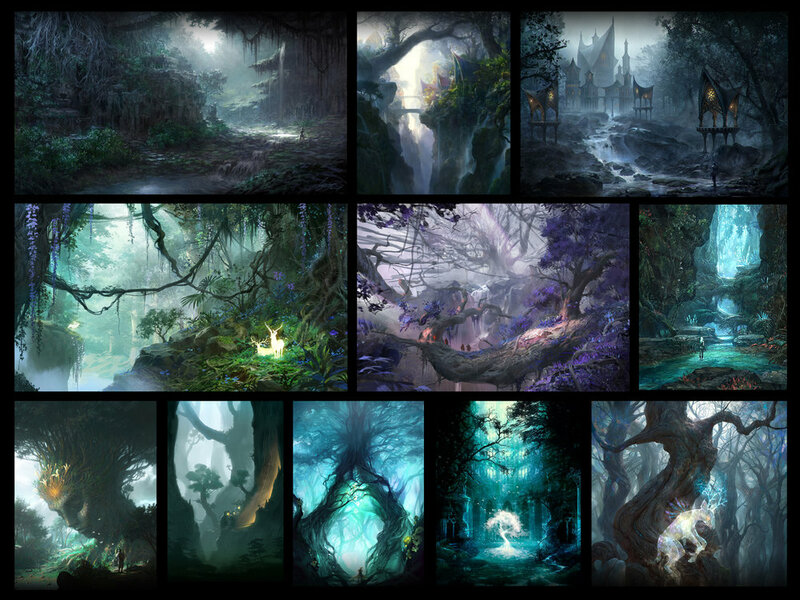 Each of the four Auras are unique in their ability and can be used in each of the forests, but knowing which one to choose will require scrutiny of the terrain during your previous visit to the particular forest. 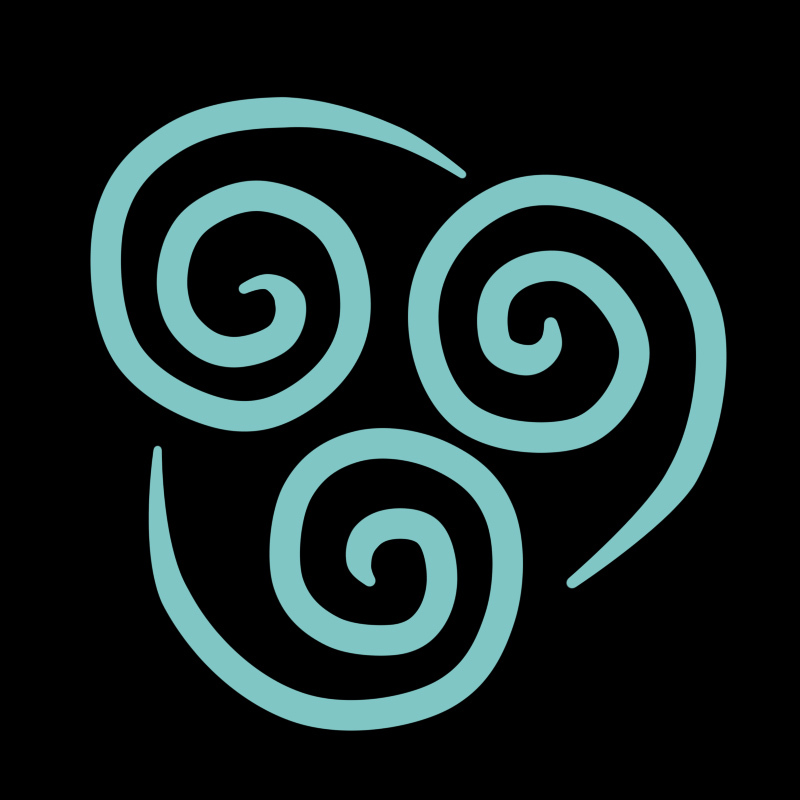 * Be warned, conflicting elements may extinguish the Aura’s connection to you, leaving you to face the challenges untethered and possibly unprepared. Upon returning a Spirit Tome to the hub world players will see the world evolve around them. * Will the addition of water fill and provide a way across a previously treacherous chasm, or will it douse the torches once used to light the way? The image below shows the introduction of Water back into the hub world—rivers flow, springs form and the associated colour blue will spread throughout the island. In this ever changing, shifting and settling landscape, you will need to find the optimal path for a speed run, avoiding falling rock and unstable ground. For those wanting to collect all power crystals, you will need to time your jumps, dodge, climb, and find your way over/under/through obstacles. Forest Tonal Range and Hub Phasing: Brown > Muted Green. Elemental Hub Effects: Shifting earth/quakes, rockslides. Primary Artistic Inspiration: Christophe Messier. In this forest lined with channels and trenches, you will need to leap, climb, and once the element is returned, swim. From barren trenches to lush streams and lakes, the element will rehydrate the land and allow water to flow and cascade. This element may wash away prior obstacles, or create new ones. Forest Tonal Range and Hub Phasing: Light Blue > Dark Blue. Elemental Hub Effects: Rivers, springs and waterfalls. Primary Artistic Inspiration: Shuxing Li. In this dark forest there are things to slow you down, trap you and stop you, traverse carefully and stick to the path you can see to earn the elemental tome. Once returned, the fire element will shine light where once there was only darkness, highlighting creatures to avoid and paths now unlocked. Be warned, fire can be as deadly as it can be useful. Forest Tonal Range and Hub Phasing: Yellow > Red. Elemental Hub Effects: Fire - Torches and braziers. Primary Artistic Inspiration: Daniel Lieske. In this misty forest, the player will have to watch his or her step. What lurks behind the mist or beyond the trees? The visible trail may not be the fastest route. Chances taken on a slightly obscured route may payoff for a speed run, or cost you precious seconds. Returning the Air elemental tome to the hub world pillar, and returning the forest will yield new gameplay and playable areas. Will the introduction of the element lift the misty veil from this forest, allowing you to find all power crystals? Elemental Hub Effects: Wind interaction.